Trump National, Jupiter is an exclusive golf club in one of the most prestigious locations in the country: Jupiter, Florida. Donald Trump purchased this 500-acre gated enclave (formerly The Ritz-Carlton Golf Club & Spa, Jupiter) back in December of 2012 and the members are very glad he did because since then he has spent an additional $20 million improving the high-end ultra-exclusive private club. Trump National Golf Club, Jupiter has achieved remarkable success due to a myriad of reasons, not the least of which is the impact of its centerpiece amenity—a stunning Jack Nicklaus signature designed golf course set over 250 acres, which was renovated in early 2013 under Mr. Trump’s and Jack Nicklaus’ supervision. 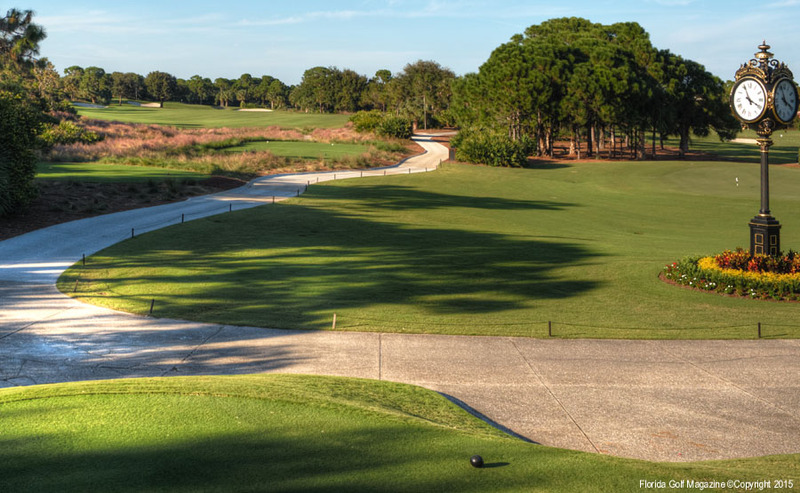 A unique life and lifestyle surrounds this Nicklaus course, as well as the success it has enjoyed on the membership, residential and tournament side. 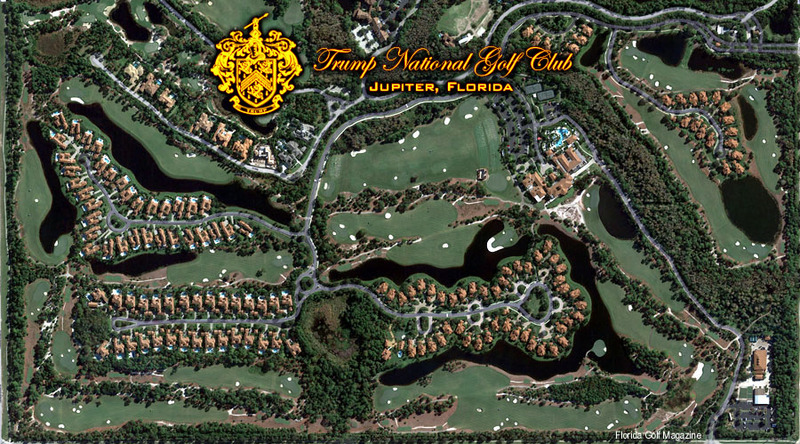 The collaboration between Mr. Nicklaus and Mr. Trump (pictured here) has allowed the facility to go to another echelon as far as competitive golf courses go. This beautiful property, located just north of Palm Beach, is a picturesque gated community with all the amenities one could ask for and it’s Jack Nicklaus designed course is one of the best in the country. 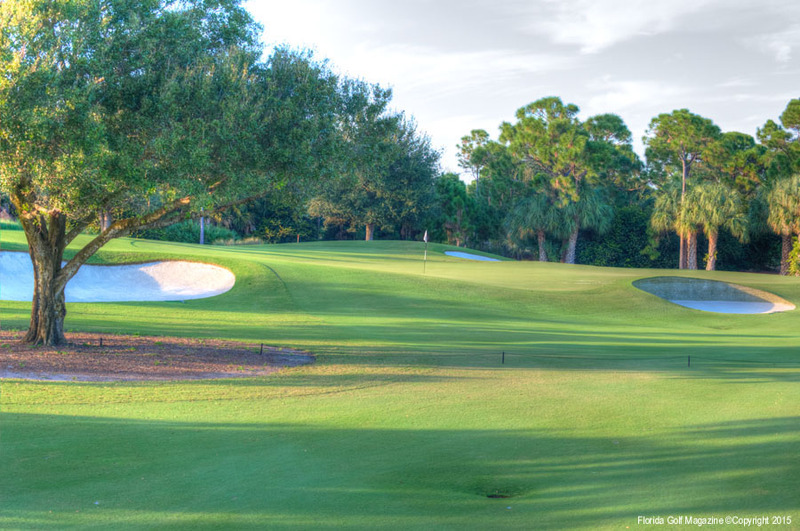 At over 7,500 yards, it’s a favorite among scratch golfers and tour players living in the area because based upon the high USGA “Course Rating” of its new back tees, which is 76.8, Trump National, Jupiter is currently rated as South Florida’s #1 most challenging golf course. Course rating by definition is a figure that indicates the difficulty of a golf course to a golfer who averages even par on a round of 18 holes. Therefore a course rating of 76.8 would suggest that a "scratch golfer" should expect to shoot at least four strokes over par from the back tees at Trump National Jupiter. Of course with five sets of tees ranging in length from 7,531 to 4,906 yards architect, Jack Nicklaus made sure the Member tees and Forward tees are a bit easier in accordance with PGA and USGA TEE IT FORWARD initiatives. Back in 2002, Jack Nicklaus hit the ceremonial first ball on #11 at the Jack Nicklaus Signature Design golf course that is now called Trump National Golf Club, Jupiter. With 20 courses throughout the world, Trump Golf Properties offer a new level of challenge, luxury, service and performance that has become synonymous with the Trump Golf experience, and Mr. Trump's vision of excellence is very much alive and well within the gates of this Donald Ross Road community. 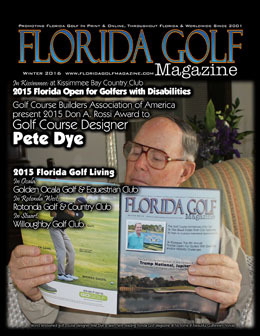 Regarding the course, Director of Golf, David Trout said, “Mr. Nicklaus did an outstanding job with the original design of the golf course and the original build-out was very favorable and positive both among the membership and the guests that play here. However, the now two-year renovation of the golf course and the collaboration between Mr. Nicklaus and Mr. Trump really allowed the facility to go to another echelon as far as competitive golf courses go and the members are 100% pleased and happy with the end result. The newly improved 7,531-yard, par 72 course at Trump National, Jupiter is a real masterpiece in design, and is innovative in both the challenge it presents and in the elements of the course itself, with one of the most prominent elements being its authentic Scottish-style revetted bunkers. All 86 bunkers were revamped and 20 bunkers we redone as stacked sod or “revetted” bunkers using environmentally sensitive material in conjunction with the course’s Audubon certification. Trump National Golf Club in Jupiter, Florida was the first golf facility private or public in the United States to utilize the Envirobunker technology and has really become a statement of the golf course by all players who come to the facility. 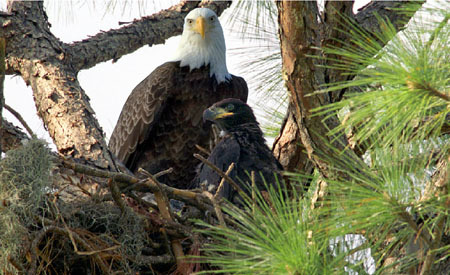 Bald eagles are nesting at Trump National, Jupiter. “The reason that turf grass is called environmentally friendly is because it’s the number one filter of any plant material you can put on the ground, because of the amount of roots. It does an excellent job of filtering rain water, storm water and reclaimed water. That’s one reason we use reclaimed water to water the course. 75% of our irrigation water is reclaimed water. We get it from the Loxahatchee River District and store it in an isolated pond here on the property so that it’s never mixed with storm water. “All 18 greens were also rebuilt changing out the former Champion turf with new TifEagle grass providing a putting surface that's more durable year-round,” said the superintendent. Though 459 yards from the new Black teebox shown here, the forward (Red) tees of the par four, 1st Hole at Trump National Jupiter play at 269 yards. The initial project of major golf course renovation at Trump National, Jupiter began on hole number one where a new “championship tee” was added to lengthen the hole by 90 yards. Now it is a 459 yard, par 4 and the smart play on this hole is to hit your tee shot down the left of the fairway. The purple topped grass you see throughout the course on most of the tee boxes is called Muhly grass. It blooms in October and November and provides a beautiful backdrop for the golfers. The purple tops turn to white the rest of the year creating a very stunning visual feature. All of the Scottish-style stacked sod or “revetted” bunkers at Trump National Golf Club, Jupiter are made using a new environmentally sensitive material called Envirobunker. The green of the 1st Hole at Trump National, Jupiter is guarded on the right by a stacked-sod revetted bunker. At Trump National, Jupiter you’ll also notice that all the greens complexes are large and receptive to shots, however they’re also very undulating presenting a challenge to all the players. If all goes well with your drive on hole number one your second shot should be a shot of no more than a 170 yards to the elevated first green. In regard to noting signature holes on the course, certainly any of the 18 holes of this stunning Jack Nicklaus signature design golf course are worthy of being called signature holes. However, holes #6 and #13, two par 5s, get most of the attention because both have had significant length added , as well as the addition of revetted bunkers on both holes. Hole #7 is a very demanding par three and Hole #11 is a par three island green and a very unique visual on the golf course. Hole #6 is the longest hole at Trump National Jupiter, playing at 649 yards from tee to green. Number Six is the longest hole at Trump National, Jupiter playing at 649 yards. The tee shot played from all the way back at 649 yards comes out of a very narrow shoot to a generous fairway protected by a bunker on the right hand side. The next main challenge is deciding if you’d like to challenge the four bunkers on the right hand side. A long carry over those bunkers will allow you a short pitch into the green. But a lay-up down the left-hand side will set you up for a full shot into the green. On this very difficult par 5 the fairway opens up to the left as you get less than 180 yards from the green which is protected by \three 3 bunkers. One is short of the green and two are greenside. The green complex itself is much shorter front-to-back than it is wide left-to-right. Four authentic Scottish-style revetted bunkers protect the right side of the green of the 649 yard, 6th Hole at Trump National, Jupiter. The forward (red) tees of Hole #7, play at 136 yards from the severely undulating 7th green. At 251 yards from the back tees, the 7th Hole is the longest par three at Trump National Jupiter. 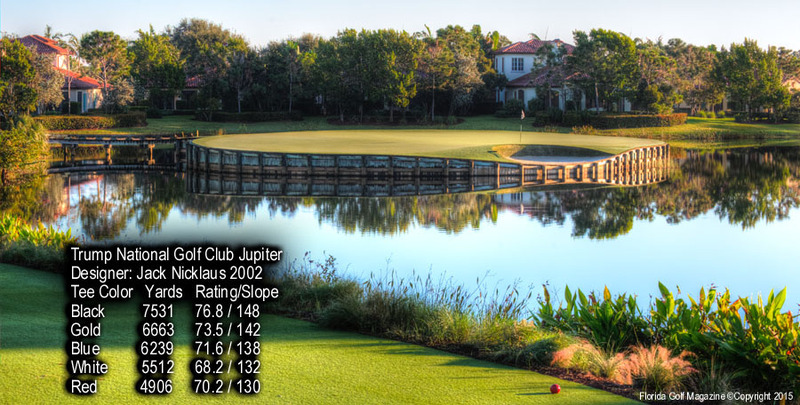 Hole #7 is the longest and hardest par three at Trump National Golf Club, Jupiter. 33 yards were added to this hole Most members will say that #7 is the hardest hole on the golf course. It is a narrow par three to the green, protected by three bunkers and a series of undulations throughout the tricky green. Two bunkers are short of the green and one is green side. Hole #11 is a par 3 island green. The green is completely surrounded by water and bulkhead with one singular revetted bunker between the water and the green's complex. The hole itself can be played as far back as 168 yards up to just under 100 yards from the forward tees. It is a forced carry from tee to green and the greens complex is 100% 360 degrees surrounded by water accessible only by a wooden bridge. Visually one of the most stunning holes at Trump National, Jupiter. Hole #13 is a magnificent 629 yard par five with seven bunkers visible off the tee, the main one being a revetted bunker in the left center of the fairway then two additional bunkers on the left and four on the right. Challenging that revetted bunker puts you in prime location to challenge the green in two shots or to lay-up. The second shot is set up very nicely by a 30 foot drop in the fairway creating a great visual on the second shot as you see the green for the first time. The tee shot is blind in regard to direction to the green. The 2nd shot is framed out by the five bunkers in the distance. Three of the bunkers range from 80 to 140 yards out from the green. Another main revetted bunker is located just in front of the green. The green complex is also protected by two more bunkers to the left and to the rear of the green which has two tiers to the left and a single tier to the right. A revetted pot bunker guards the landing area off the tee on the 546 yard, par five, 17th hole at Trump National Jupiter. The 17th Hole is the last Par 5 on the golf course. It can be a reachable par 5, but is still very much a risk reward scenario. 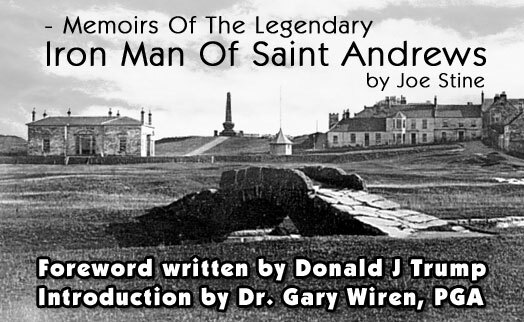 The player is greeted off the tee by three revetted bunkers that frame the tee shot. Two are down the left and one is on the right hand side. Just pass the bunker on the right hand side the rest of the hole is framed out. The hole then takes a swing to the right which sets up a lay-up shot of about 170 to 180 yards leaving a nice pitching wedge into the green. The green is guarded by water on the left and a revetted pot bunker in the middle and then three other bunkers from left to right as you go down the right side of the fairway. The green is narrow with multiple tiers, two higher tiers front and back, with a swale in the middle. This uniquely shaped revetted pot bunker guards the green on the 17th hole at Trump National, Jupiter. The 18th hole is 461 yards long and it is a great closing hole. The fairway is right out in front of you on the tee shot. But the second shot requires an accurate second shot which is a complete force carry over a bulkheaded water hazard. Behind the green you have two bunkers which also help define the green. The green runs left to right in a deep fashion requiring a accurate shot for a front pin location, and a much more acceptable shot when it’s all the way back. With three separate bays, three different golf lessons can be given simultaneously at the new Golf Learning Center. The brand new state of the art building for the Golf Learning Center designed by Mr. Trump opened for the members in May 2014 at Trump National, Jupiter. The building is equipped with 3 full state-of-the-art teaching-bays that house both Trackman launch monitors as well as JC Video swing-analysis software. At Trump National, Jupiter highly skilled instructors are always available to assist members with the development of their golf abilities using state-of-the-art Trackman launch monitors and JC Video swing-analysis software. 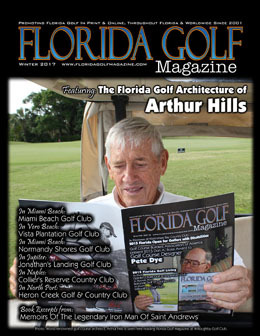 The building is an indoor and outdoor building that will allow for both lessons to be completed on prime weather days where golfers are able to hit shots inside the building utilizing the technology out into the practice facility additionally the bay doors can be closed to conduct indoor fittings during optimal weather conditions as well as to conduct instruction on inclement weather days allowing for 365 days of instruction each and every year regardless of weather. Highly skilled instructors are available to assist members with the development of their golf abilities. Trump National Golf Club, Jupiter offers a variety of programs and clinics, including individual lessons which can be arranged by calling the Director of Golf, David Trout, at (561) 514-6021. General Manager, Tony Servideo said, “Trump National, Jupiter has a 60,000 square foot clubhouse which features an open kitchen and dining room with a member's lounge. We also have a wonderful spa and fitness center along with a 150,000 gallon heated swimming pool that features an Alaskan glacier rock waterfall. Our membership offerings consist of a full golf membership and also a spa social membership. Currently we have 200 full golf members and about 175 spa social members all in all comprising the membership of about 375. Additionally we’re in the midst of building a 10,000 square foot grand ballroom that will be able to seat 550 people for a plated dinner, which we're very excited to open in early March of 2015. There has been an enormous amount of interest and inquires regarding our ballroom locally within the community for local charities and special events in Palm Beach county. Our executive chef worked several years for Mr. Trump at Mar-A-Lago and is now here in Jupiter.He does a great job with our world class steaks and seafood and he utilizes a lot of products which are fresh from local farms here in the Palm Beach County area. The property has 83 estate homes in three separate neighborhoods sprinkled throughout the golf course. Some of our members live here year round and some of them are here only for the winter and then leave and head up north for the summer months. Either way the golf course maintenance crew also maintains the grounds and lawn care for all of the members’ homes. Trump National, Jupiter is an exclusive golf club in one of the most prestigious locations in the country: Jupiter, Florida. Donald J. Trump purchased this 500-acre gated enclave (formerly The Ritz-Carlton Golf Club & Spa, Jupiter) back in December of 2012. With 20 courses throughout the world, Trump Golf Properties offer a new level of challenge, luxury, service and performance that have become synonymous with the Trump Golf experience, and the lucky members at Trump National Golf Club, Jupiter also enjoy reciprocity at all Trump Golf Properties worldwide. Trump National and International Golf Clubs are some of the most sought after clubs worldwide and are considered to have the highest standards in golf course design, maintenance, and management. Trump courses combine the most spectacular landscapes with the talents of the world’s best golf course architects. Trump National, Jupiter is a personal playground for a long list of America's most successful individuals, including Mr. Trump himself. The club is the epitome of first-class service and facilities and fits tailor made into the existing catalog of Trump National offerings nationwide. This full service private club provides something for every member that drives through the gates. The Oasis pool facility at Trump National Golf Club in beautiful Jupiter, Florida The beautiful clubhouse at Trump National Golf Club, Jupiter sets behind the 18th green. The beautiful Jack Nicklaus signature design golf course as well as the state of the art clubhouse and Five Star amenities make Trump National Golf Club, Jupiter one of the most desirable golf clubs in all of Florida. 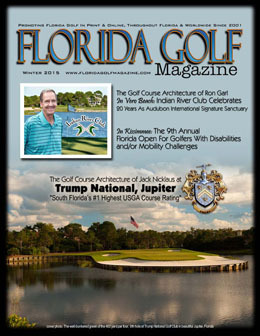 Golf Architect Ron Garl & Indian River Club, and Trump National Jupiter are showcased in the Winter 2016 issue of Florida Golf Magazine. Click here to read it.